I’ve always loved the food at Charlie’s Bakery but tend to order and re-order old favorites. It’s hard to get away from that rich, noodle-laden beef soup, the savory stir-fried bok choy, and the plump, slippery steamed dumplings. But at my most recent visit, I decided to expand my horizons a bit, and I’m so glad I did. Perhaps the reason the Szechuan-style spicy wonton soup ($6.50) had escaped my notice for so long is because it’s only available on Saturdays. This is a cruel trick for the eater whose cravings can vigorously hit on a Wednesday afternoon. However, it’s worth the wait. 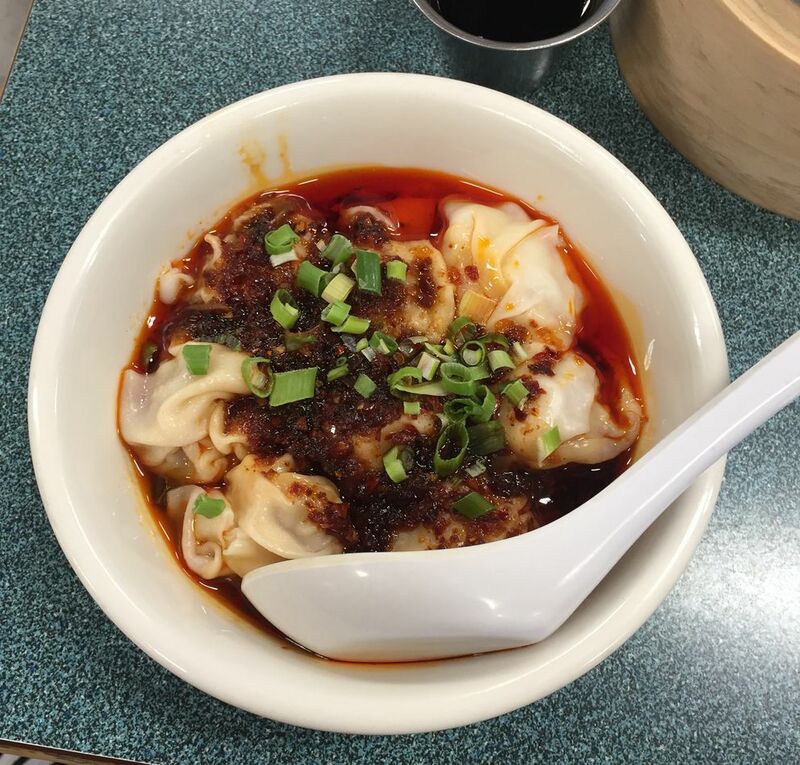 The wontons are served in an intense — and intensely beautiful — sauce made bright red with chili oil cut with a hint of soy, sesame, and vinegar. It’s served like a soup but eats more like a dressing. Don’t let the fire engine red glaze of the oil put you off. It’s an assertive dish but not too spicy for most palates. If you think of deviled eggs ($6 for 3) as the humdrum, second-tier choice at a potluck buffet, rest assured: These are not those. Packed with a tangy, mustard-y punch, this dish perfectly combines creaminess with acidic brightness — a culinary anachronism that I personally love. A thin slice of caper berry adds a slightly floral note to the dish and a sprinkling of crisp chicken cracklings stands in where you might look for bacon bits. But my favorite part of the dish was the unexpected earthiness of oregano that tones down the acid and lingers on your palate after each bite. Table 6 is located at the crossroads of my commuter life — kids’ school, daughter’s dance studio, box store shopping (I know, I know, my life is very glamorous). So it’s a frequent stop for a quick glass of wine or snack when I have an hour to kill. My favorite Table 6 bar snack is, without a doubt, the chicharrones. 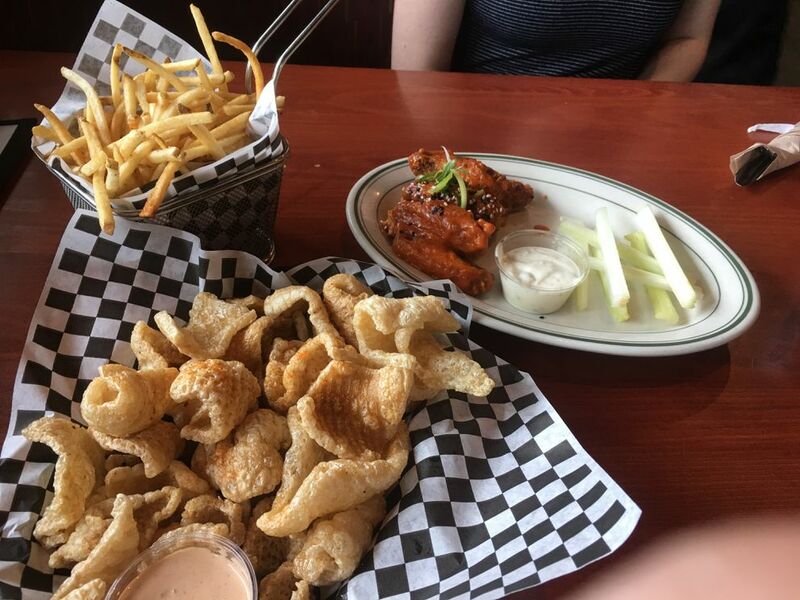 These pork rinds arrive at the table still popping from the fryer. When I first tried to convince my daughter, who was eyeing them leerily, I described them as a cross between shrimp toast and Cheetos. But porkier. This, apparently, was not reassuring. But she relented when she saw me crunching into them and now she’s a convert. 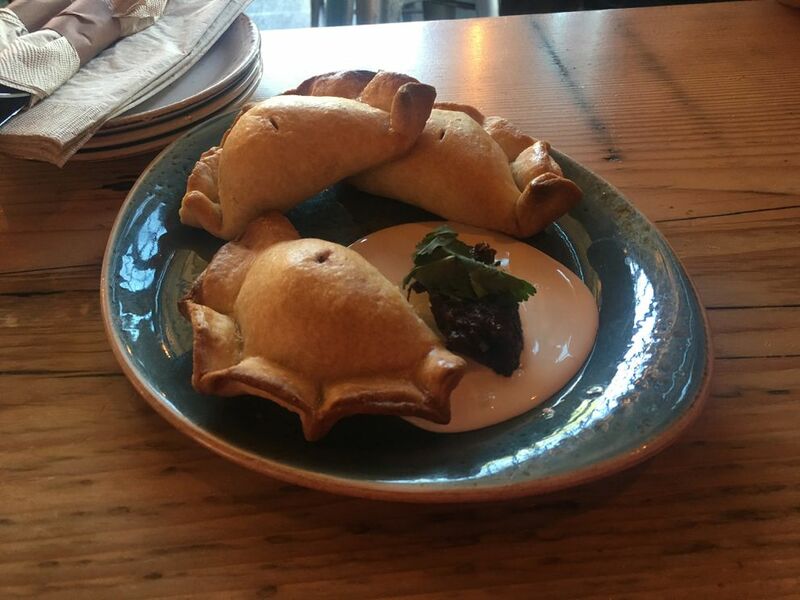 The Rustic Goat rolled out an updated menu in recent months (don’t worry, their ever-popular nachos aren’t going anywhere) and my favorite new offerings are the perfect little pork empanadas ($12). A thick, flaky pocket of pastry is the perfect vehicle for the rich, tender garlicky pork within. This trio of meat pies is served atop a “table cream.” I had to look this up — it is a slightly less fatty heavy cream. It tastes like … a slightly less fatty heavy cream. A heap of pleasingly smoky red chili paste is served on the side if you’re looking for more heat. 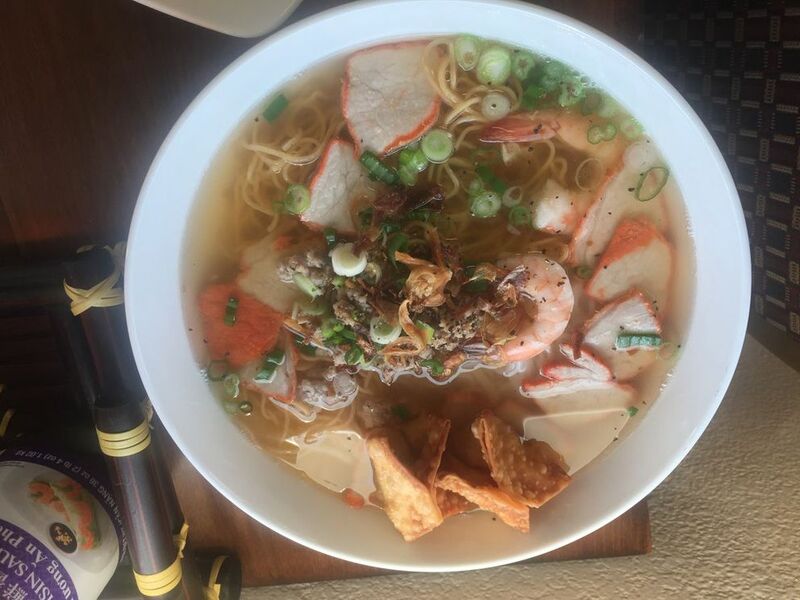 I loved everything about Gia Dinh, the new Vietnamese restaurant located in a midtown strip mall off International Airport Road. But it was the hu tieu mi nuoc ($14.95) that I was thinking about days after my visit. Teeming with seafood, pork, vegetables, herbs and noodles, this is a kitchen-sink dish that offers something for everyone: Sweet, plump, tail-on shrimp along with pork served three ways: roast, ground, and stuffed into crispy, deep-fried pockets of wonton. Lacy rings of charred green onions float alongside bright green slices of raw onion. Toothsome egg noodles tangle with pliant rice noodles. All of these delicious elements swim together in a clean savory broth. I could not have loved this dish more. I’ll close out my year of eating by wishing my readers a delicious new year. Try new things. Eat out often. 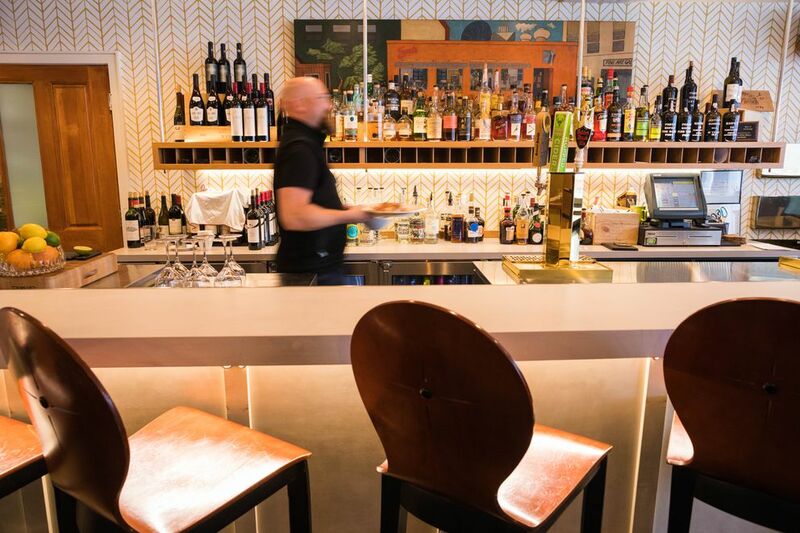 Support your local restaurateurs and chefs. May you have few regrets in 2019 but let none of them be on your fork.